Boris Drucker was born in Center City Philadelphia on 22 May 1920. Drucker stayed in Philadelphia, and continues to live in the center city neighborhood he moved into around 1950. 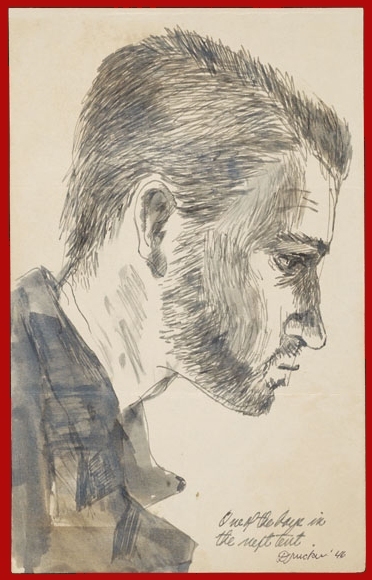 After graduating from West Philadelphia High School in 1938, he received his training at the Pennsylvania Museum School of Industrial Art (later known as the Philadelphia College of Art, now part of the University of the Arts in Philadelphia). Drucker got his start in magazine publishing in 1946, when he had come back from his overseas experience in the Second World War. 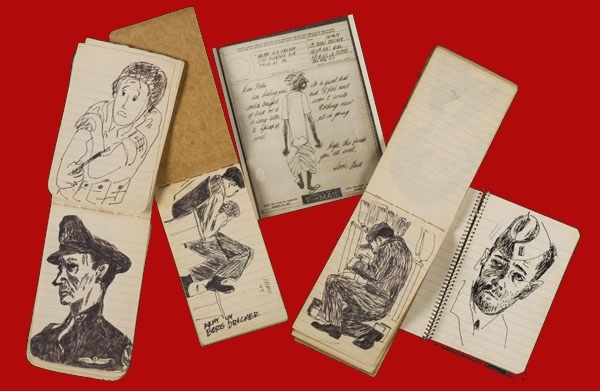 His final years at the art school had put him on an advertising track, and from the late 1940s until the middle of the 1960s, this is what he pursued in Philadelphia. 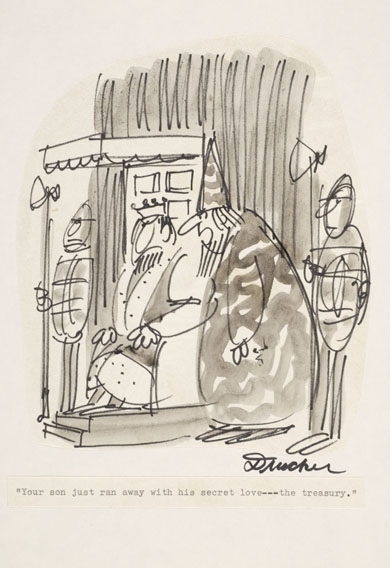 In 1966, after a brief stint of teaching advertising and commercial art, Drucker went to New York to open a studio and at the age of forty-six was accepted as a New Yorker cartoonist. The third phase of Drucker' s career had started. 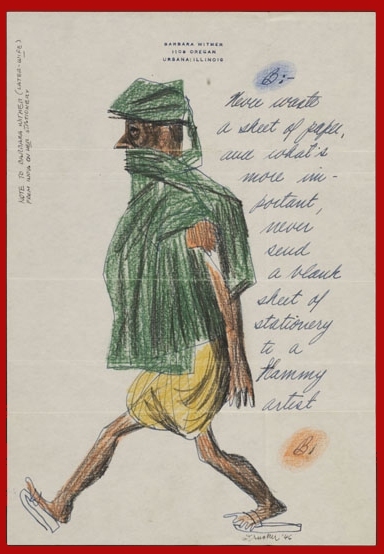 Cartooning and advertising had been the two main pillars of his early work, but he began to work more directly for industry clients for whom cartoon illustrations communicated more clearly than photographs. 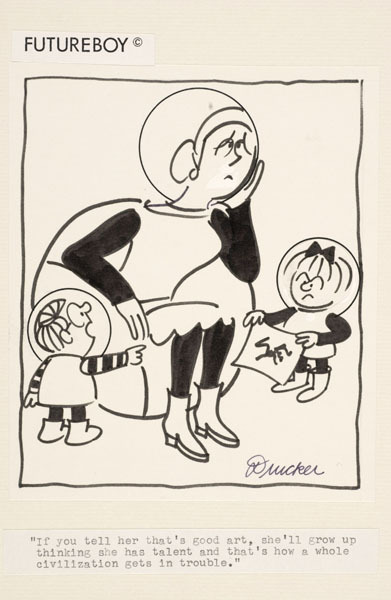 Along the way, Drucker found time to work up various ideas for cartoon strips, including a 1960s proposal for Future Boy. 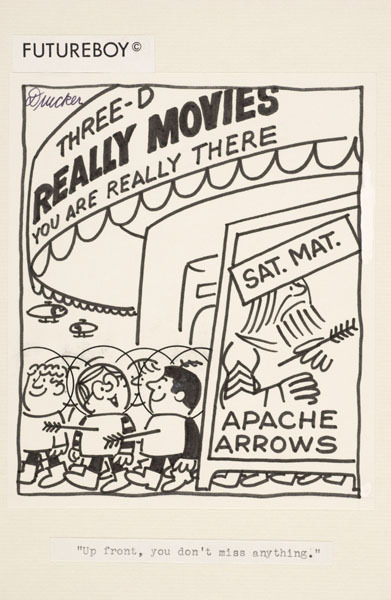 In the last phase of his productive and varied career, Drucker concentrated on commercial work for industry clients and created batch after batch of cartoons that commented on the passing scene with his unique attitude and drawing style. 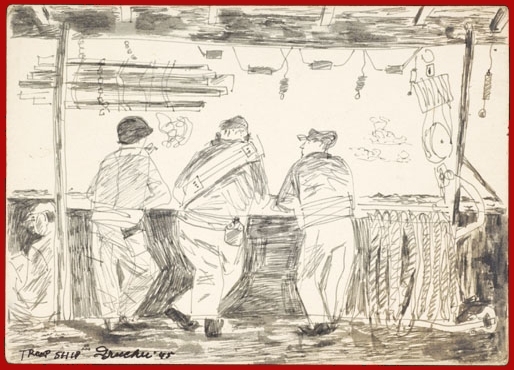 In addition to hundreds of published works, he produced approximately twelve thousand rough drawings that he donated to the Special Collections Research Center. After all these years of having his work published and with all the recognition he has received, Drucker commented that "You never loose the kick of seeing your work in print." 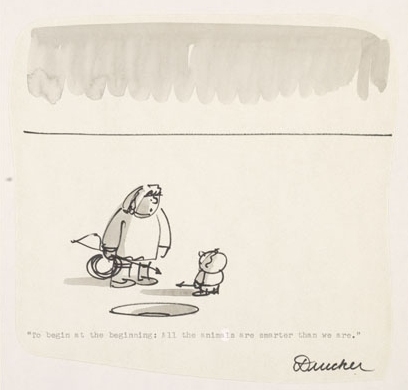 Two cartoons by Boris Drucker from a proposed series from the 1960s entitled Future Boy that was never published. 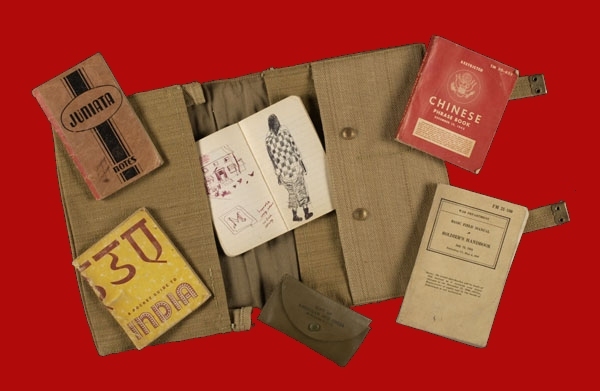 A knapsack and sketchbooks used by Boris Drucker in India and China during the Second World War.